Are you traveling or planning to travel in the near future? Preparing for a holiday or business trip while packing luggage and deciding which essentials you need to carry with you? Then you probably looking for a handy, easy-to-carry, portable bag that you can keep all your everyday carry essentials safe and organized. 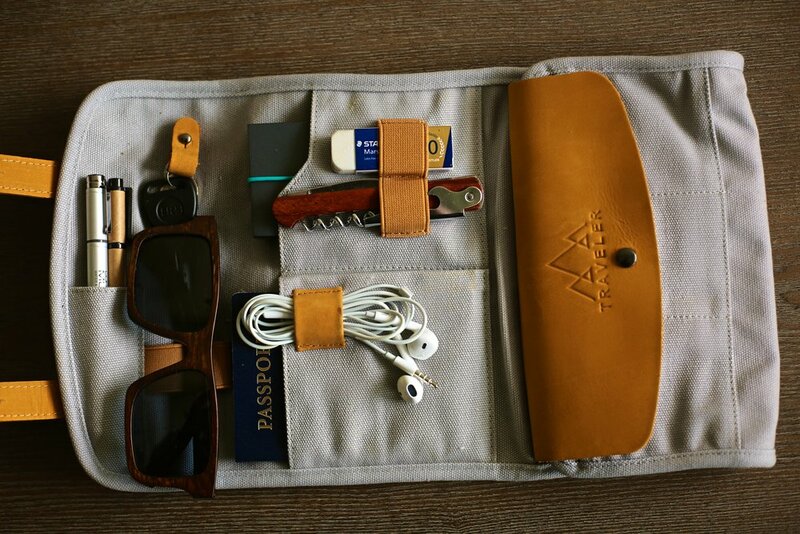 The Voyager's Satchel by Traveler Supply Co would surely fit your needs. This small yet spacious, handy yet organized flip top satchel bag is perfect for traveling adventurers who want to look good on their travels. The satchel can serve as a bicycle bag, everyday carry, and traveler's companion on the go. The Voyagers Satchel is targeted especially at travelers, as well as casual users for their everyday needs. It is designed in such a way to accommodate the needs of every type of users. The satchel can hold almost everything you need to carry with yourself while on the go. Be it cards or pen, earphones or keys, makeup, tools, passport, travel documents, cash, the list goes on. This small and stylish bag offers distinct spaces for different articles of common use. There are card holders, pen holder, key holders, cord organizer, and a larger pouch to hold bigger things or documents. The Voyager's Satchel is a spacious easy-to-carry leather canvas bag that was carefully crafted according to the traveler's needs. It is handcrafted with fine quality leather that is both flexible and durable. The touch of khaki leather straps on grey canvas gives a class and trendy look. Show off your style among your peers and colleagues. The Voyager's Satchel is not only a stylish choice for teenagers or young adults, but it is also a classy option for older professionals as well. The best part is that our Voyager's Satchel is affordable and not even a heavy burden on your pocket either.